Free download from MakingFriends®.com can be used with the Story Journey Badge in a Bag® from MakingFriends®.com to help complete your Brownie A World of Girls Journey. It’s never too early to teach your girls about the importance of water in our lives. 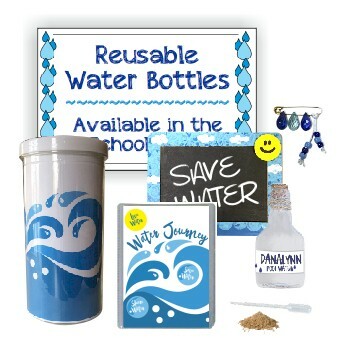 So get started with the Water Adventure Badge in a Bag® from MakingFriends®.com. 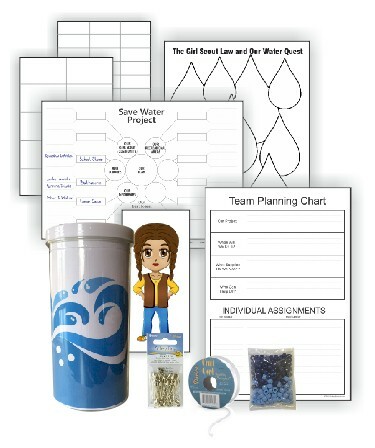 This kit provides step-by-step instructions for you to lead your girls in completing their Brownie WOW! Wonders of Water JOURNEY* and includes economical, hands-on activities to enhance the girls’ experience. Guiding your girls through their adventure will be easy, stress-free and rewarding for your troop and for you. 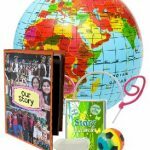 From your local store, you’ll want to pick up a copy of the Brownie Wonders of Water (WOW) JOURNEY* book and set of awards for each girl. You’ll also need some basic craft supplies like scissors and glue. Everything else is included. 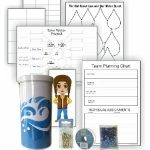 Projects and experiments are age-appropriate, designed especially so Brownie girls can have plenty of fun while they learn about water conservation. The first five parts can be done in 90 minutes each. 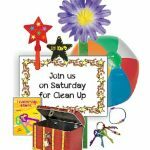 You can finish each part during a meeting or plan day-long event or a troop sleep-over to the complete it in a weekend. The included activities will fulfill the JOURNEY* requirements and guide you and your girls to choosing a take action project. The sixth meeting is a planning meeting for a celebration to be held after your take action project is complete. The girls each get a mini scrapbook to hold her maze pages and other projects they complete along their adventure. 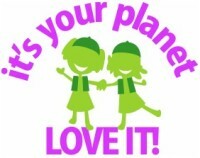 Our Brownie Water Adventure Badge in a Bag® is a good choice for troops with an interest in ecology. While the content coincides with what they learn in school, it is presented in an entertaining way that will convince your girls that they love science. 19 reviews for "Water Adventure Badge in a Bag® - Updated 3/2"
Love the activies. My girls were so excited about the crafts. Can’t wait to get started. I will purchase more sets again. Very easy setup. The kit was great the girls had a great time and it saved me a lot of time. I used this for the Brownie Journey in a Day. We had 47 girls in attendance and not one was lost in the material or bored! We followed the regular meeting schedule and tweeked the programming to what we needed as a large group since I did not have enough volunteers to run stations but the layout was sooooo easy adding and subtracting certain details was no big deal! The items received were great! I couldn’t have asked for a better help/tool! This product was great for our journey weekend, however, it did not come with coiless pins (which were supposed to be included but came with regular pins) which is definitely needed for the swaps. It was impossible to make them with regular pins that were included with both of the kits we ordered. This has been the best idea for keeping the girls interest and really learning the main ideas about the journey. Sister Troop 1908 Cadettes will lead the grils. We completed this kit at our Summer Camp for our Service Unit. It made planning super easy for us leaders. But the best part was for the girls. They loved all the hands on activities. It was great not to do book work and when we were done the girls were excited about what they learned. 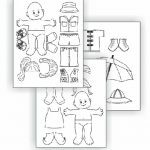 Everything is pretty much in the kit that you need, just gather up craft supplies (Scissors, glue, pens, and coloring tools and your ready to get started. I would recommend this kit to everyone with a Brownie group. This is our 2nd Badge in a Bag kit that we’ve used from MakingFriends.com. We decided to do this journey in an entire day back in May 2014. Which was ideal for the weather and we had a goal in mind of completing the journey prior to June 1st as we were part of a local grant with our Girl Scout Council. We successfully completed the journey in a day, and couldn’t have done it without the MakingFriends instructions and everything that was included. From now on, we have decided to allow so much of our profits to go towards the Troop and individual girl kits, and of course, pick up any swaps and supplies we need too. 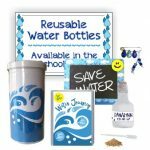 I initially found the Water Journey Badge in a Bag to be a little pricey but it really has been a huge advantage to me while trying to squeeze a journey into a short summer session with my Brownies. 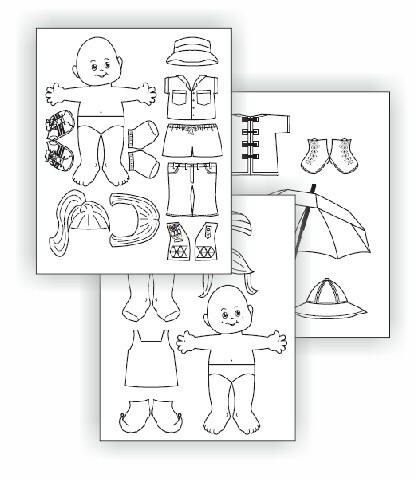 All the “real” materials are included (only have to provide things like markers, glue, scissors, etc. 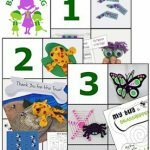 )to complete the hands-on activities and crafts for each of the steps. It has made planning very easy and all I really have to do to prepare is review. Thanks! Ordered this for a new girl came fast enough for her to join in with the other girls. Got this kit so I could do the WoW journey in a weekend. It has great instructions and I love how the supplies are all organized and included. This kit has saved me hours of prep and I am very excited to do this journey quickly and have some fun with it! We have the first two meetings done. My only complaint is that I can’t get that mirror to make a rainbow! But I won’t stop trying. The kids had a lot of fun when we were going from activity to activity, not so much when we had to read from the journey book (feels too much like school) but I find the instructions to be easy to follow, well written and the materials are very helpful and creative! Thanks Makingfriends! have not used it yet–trying to plan ahead for next year. Great idea!! Really helps us get through the WOW journey book! Love the crafts!! What a time saver! Great for completing the WOW Journey. The girls loved all the little projects they get to do and specialy the scrapbook. I bought the leaders kit and girls bags after a parent meeting in June. The parents were excited to have set projects and clear directions for each meeting. I love the fact that I can use the kits in conjunction with the leaders book, super easy. The parents like the fact that they don’t have to round up resources for their daughters and accidently forget to bring them to the meeting. I love the cost and convenience, thanks for making the kits affordable and easy! We just finished this. Loved the experiments and the crafts. Made it much more fun for the girls. Personally, I think the best part is the planning charts that guided us into choosing our take action project. With out it I dont think my girls would have been able to come up with their own ideas. This was such a great tool for our troop’s first Journey! We had fun, and it was so nice to have all the materials easily accessed. I am looking forward to using more kits to get Journeys done throughout this next Girl Scout year.